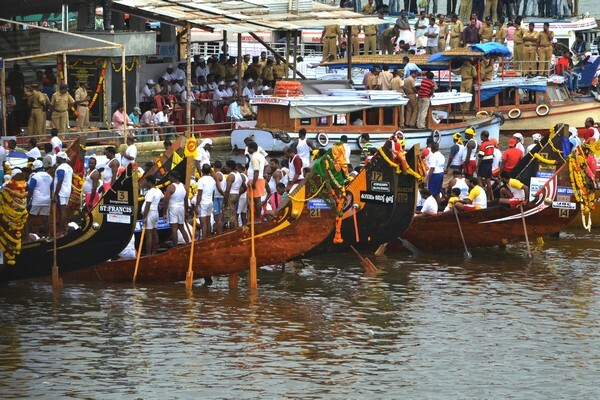 Boat races in Kerala have always been a part of the tradition and culture. There are instances in the history of Kerala when disputes between kings and chiefs were settled by boat races. Popular boat races like Nehru Trophy Boat race are yet another reason that the tourists are attracted towards ‘God’s Own Country’. A number of teams from different regions participate in boat races, which are organized annually. These races are organized specifically during temple festivals, which give this water sports an aura of religious sanctity. A few out of these races are ancient and have different myths and legends attached to them. These races are more popular in Alappuzha and near by areas but here is a list of yearly boat races that are organised at different tourist places in Kerala. The Snake boat races, commonly known by the natives as Chundanvallams, are the one which are most popular. A snake boat (or chundan vallam) is actually a long traditional canoe style boat used by the people of the Kuttanadu region, in south India’s state of Kerala. Typical snake boats are 100 to 120 feet long, and hold around 100 rowers. Each of the villages in the region has its own snake boat, which they take great pride in. Every year the villagers get together and race the boats along the lakes and rivers. The Nehru trophy boat race on the Punnamada Lake, near Alappuzha, held on the second Saturday of August every year, is the most competitive and most popular of all the boat races in Kerala. The race conducted on the second Saturday of August every year is a major tourist attraction. The history of the Nehru Trophy Boat Race is associated with the visit of late Pandit Jawaharlal Nehru, the then Prime Minister of India to Alappuzha. He chanced a trip from Kottayam to Alappuzha by boat, through water logged Kuttanad. A pageantry of boats accompanied him on the trip. The first race was an impromptu once conducted in 1952 in honour of Panditji who visited Alappuzha. In that race of snake boats, Nadubhagam Chundan stood first. Panditji, who was thrilled and excited in the performance of the oarsmen, jumped into the Nadubhagam Chundan, forgetting all security arrangements. The boat proceeded to the boat jetty carrying the Prime Minister. On his return to Delhi in December 1952, Nehru donated a Silver Trophy, which is a replica of a snake boat placed on a wooden abacus. This trophy later came to be known as Nehru Trophy. This boat race is the oldest and most popular snake boat race. The race is held on Pampa River on Moolam day (according to the Malayalam era M.E) of the Malayalam month Midhunam. It is boat race festival celebrated in the last week of December in the backwaters of Kochi. 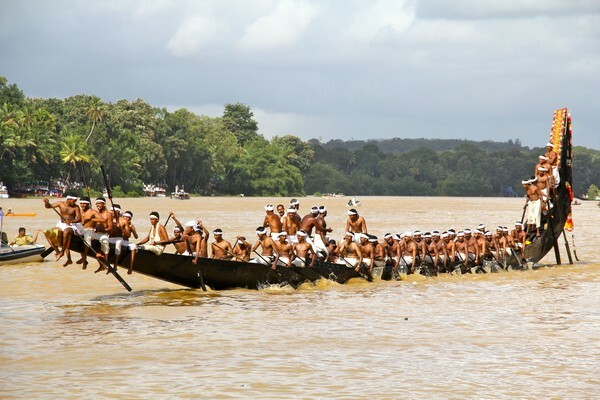 The boat race is an annual event, which happens 28 days after Onam. This boat race is held on the Muthiraparampu-Karuvathrakadavu course of the Kallada River, Kollam district.